Biodiesel fuel is a clean burning alternative fuel that is made from 100% renewable materials. Many people believe that Biodiesel is the fuel of the future. Sometimes it is also known as Biofuel. Biodiesel does not contain petroleum, but petroleum can be mixed to produce a biodiesel blend (eg. B20, B50) that can be used in various cars. Pure biodiesel fuel (ie. B100), though, can only be used in diesel engines. Biodiesel is biodegradable and non-toxic, making it so safe that common table salt has been proven more toxic. Biodiesel is not like vegetable oil alternative fuels. Biodiesel can be used in its unaltered form in diesel engines. Vegetable oil fuels must be modified and used only in combustion- ignition engines. This makes biodiesel one of the easiest alternative fuels to use. In fact, it is a great option for use on farms in farm equipment. Biodiesel fuel is made through a process called transesterfication. This process involves removing the glycerin from the vegetable oil or fat. During the process byproducts are left behind, including methyl esters and glycerin. Biodiesel is free from such substances as sulfur and aromatics which are found in traditional fuels. Biodiesel is legally registered with the Environmental Protection Agency as a fuel that can be legally sold and commercially distributed. Compared to other alternative fuels, biodiesel has a number of unique features and qualities. It has passed all the health effects testing requirements, unlike other alternative fuels. This means it meets the standards of the 1990 Clean Air Act Amendments. Biodiesel is legally registered with the Environmental Protection Agency as a fuel that can be legally sold and commercially distributed. Other alternative fuels can not be sold commercially as motor fuel because they do not meet the EPA’s fuel specifications. I believe that the biggest feature about biodiesel fuel is that is it not harmful to the environment like traditional fuels. Biodiesel is made from renewable resources which means it is safe for the environment. It does not produce the high emissions like traditional fuels. Biodiesel does not cause harmful effects to the environment that will produce lasting effects on our future generations. Biodiesel is made from renewable resources which means it is safe for the environment. Biodiesel is also good for the economy because unlike traditional fuels, the resources to make biodiesel come form within the United States. It is made with products grown in the USA without having to involve politics with other countries. The country can become less dependent upon foreign countries for fuel supplies and the money goes right back into the US economy. Biodiesel is an innovative fuel that is rapidly becoming more available to the general public. It can be found around the country in select places or it can be bought directly from producers. It costs a little more than traditional fuels at the current time because the demand is not as great. However, as demand grows and the public realizes the benefits of a biodegradable, renewable fuel source, the price will drop. Right now, though, the cheapest way to get biodiesel fuel is to make it at home yourself. 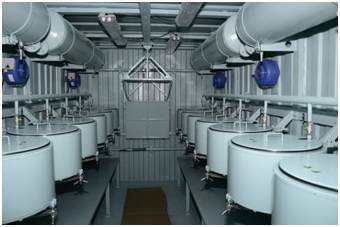 Biodiesel equipment here: reactors, processors.